Pixel and Google Fall event rumor and leak fact check: Where were we right, where were we wrong? Android Police has posted a rather exhaustive set of rumors over the past few months about Google's Pixel phones and other hardware that was unveiled at Google's October 4th event. We think that, now that we have most of the details, it's time to do a post-mortem on our coverage, and pull it all together into one place. We'll be going through this [roughly] chronologically and by two categories: Pixel phones... and everything else. Let's get started with the Pixel phones. Our rumors regarding these phones begin way back in April, nearly six months ago. At the time, Evan Blass reported that HTC was working on two phones, M1 and S1, for Google, to be Nexuses. We then revealed the codenames for these phones were Marlin and Sailfish, respectively. Marlin and Sailfish codenames: Accurate. This rumor has been confirmed a number of times over the last few months through leaked builds and Android's own code review site. We were inaccurate when we called these Nexus devices. It's unclear if the Pixel branding had been decided by Google at this point, though, and we'll probably never have a clear understanding of how all that played out. Three posts here are of relevance. In the first, we detailed specifications for Sailfish. In the second, we did Marlin. In the third, we suggested the Snapdragon 821 would be the chipset used in both devices. All three posts were accurate - down to the battery capacities, storage variants, and camera resolution. At the time the original specification posts went up, we did not declare a processor. We later clarified that we expected it would be the 821. There were a few things we didn't include in these posts - because we didn't know them - that Google unveiled at the event. The Pixel and Pixel XL, for example, support marginally quicker USB-C charging (18W vs 15W last year) and USB 3.0 support. We were also unaware as to whether the cameras had OIS (they don't). The primary point that I think was of relevance here was the assertion that the phones were identical apart from their battery capacity and display sizes (and resolution). We were still calling them Nexus devices at this point, which ended up being inaccurate. In June, we suggested the new "Nexus" devices would have a support app with screen sharing called Google Support. Accurate, but incomplete. They do! But we weren't sure if this would be exclusive to the new phones, which it apparently is. I'll let you be the judge here - did we do justice to Google's design? First, our render. Mostly accurate. I'll admit, we were a bit off on the texture and shape / lighting of the corners, but some of this was down to trying to produce this render in a reasonable amount of time. But I think we got the point across with our image, even if there are a few small details that are perceptibly different on the product device, like the placement of the "G" logo. We reported on the Nexus launcher in early August, back when it was actually still called Nexus launcher (it's now called Pixel launcher). How did our leaked images stack up to the real deal? Somewhat accurate. Google obviously instituted some additional design changes in the Pixel Launcher (as well as a name change) before it launched, such as optional circular icons and the ability for the clock widget to be tapped to open up the calendar. What we were looking at was clearly a work in progress, and Google continued to refine and tweak the experience as the Pixel phone launch neared, much as it did with the new home button. I know, it's a minor one, but hey, we wrote a post about it. We also posted about other gestures, the "night light" feature, and the double-tap to activate ambient display. Accurate and also unclear. The fingerprint scanner gesture, night light, and dual-tab settings UI are all present! It's unclear if the double-tap gesture for activating ambient display survived at this time. We'll hopefully know soon enough. We corroborated a rumor initially started by Evan Blass stating the phones would be sold by Verizon. Accurate, but incomplete. Verizon sells them. But we weren't willing to commit on them being a Verizon carrier exclusive at the time, a revelation that ended up upsetting some people. We said the home button would look like, well, just click here. This design obviously got... workshopped in the final devices. Partially accurate. 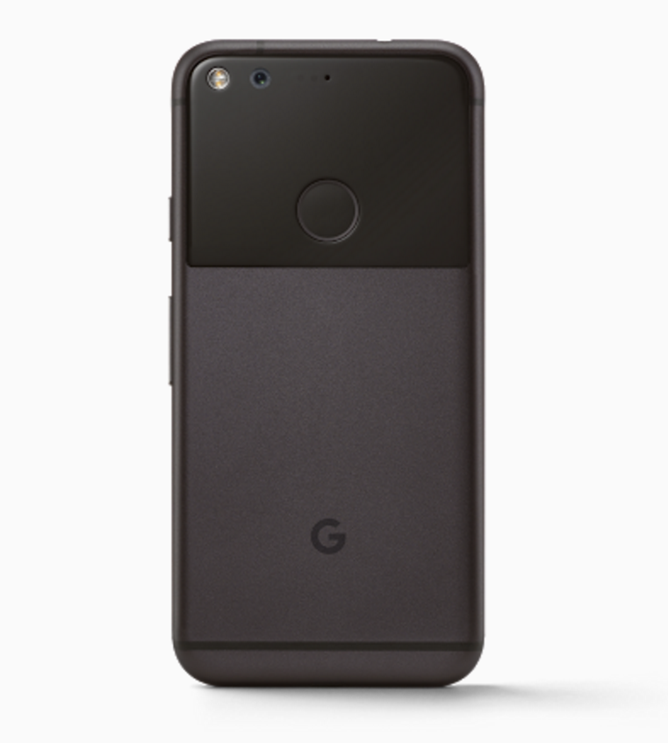 The design we see on the final Pixel and Pixel XL is a white home button with a concentric circle. Our leaked home button design ended up not being used, but the solid fill on the back, multitask, and eventual home button stuck around. We also said it would animate in a particular way, and I'm guessing the end result was also slightly different - the final animation for calling Assistant is a little more random and playful, with the dots darting out in a less uniform / in-line fashion. 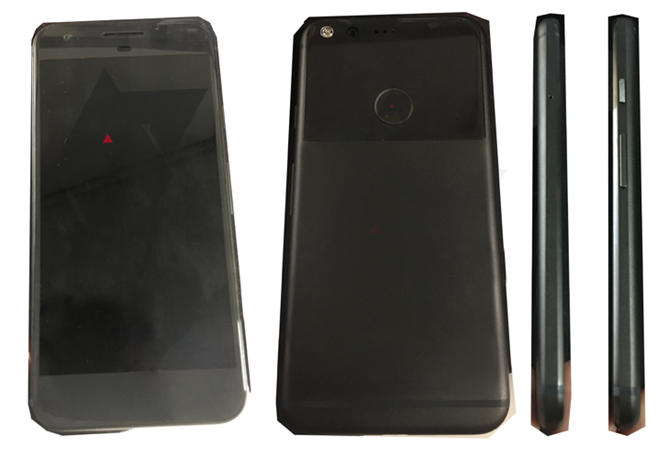 We leaked live photos of the smaller device, Sailfish (Pixel), in the dark finish - minus the G logo. Accurate. That is clearly a Pixel, albeit one with some obscured engineering watermarks and a missing "G" logo. We said they'd be called the Pixel and Pixel XL. We said Google could be introducing a reboot button on the Pixel and Pixel XL, per information that led us to know Google was actively using a reboot button on test devices. Accurate. A redditor with what seems to be a production device confirmed the button is present. We rumored that the Pixel phones would start at $649, and that financing would be available through the Google Store. Mostly accurate, but incomplete. 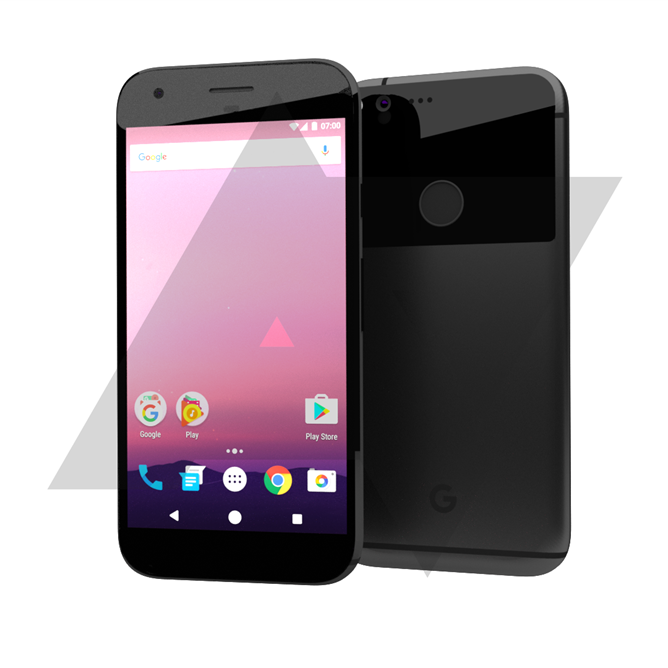 We were right, but never were able to find pricing for the 128GB Pixel or either variant of the Pixel XL. We were also inaccurate in stating the Pixel Protect prices for the Pixel XL would cost $119. They're the same $99 that we stated would be the price for the standard Pixel. Whoops. We also mentioned an $80 price point for the Daydream View in this post, which was accurate (well, close: it's $79). 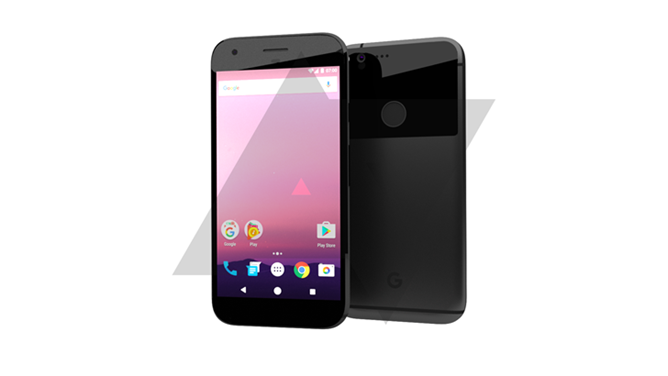 We rumored this a couple of weeks before the Pixel phones launched - Google's Pixel and Pixel XL would receive only an IP53 rating. Accurate. While the IP53 spec isn't mentioned anywhere in the product literature for the Pixel and Pixel XL, Google has confirmed the phones have been certified for this rating to those who have asked. Back in June, The Telegraph suggested Google would release a Google-branded smartphone. It ended up, technically, being smartphones, but still - I suggested this rumor was poppycock at the time, because we still believed the new smartphones by Google would be branded as Nexuses, albeit without manufacturer cobranding. As such, I [incorrectly] interpreted this rumor as suggesting a third phone would be released, and there obviously never was a third phone. Woefully, shamefully inaccurate. That one is on me! Sorry, The Telegraph. You were right. 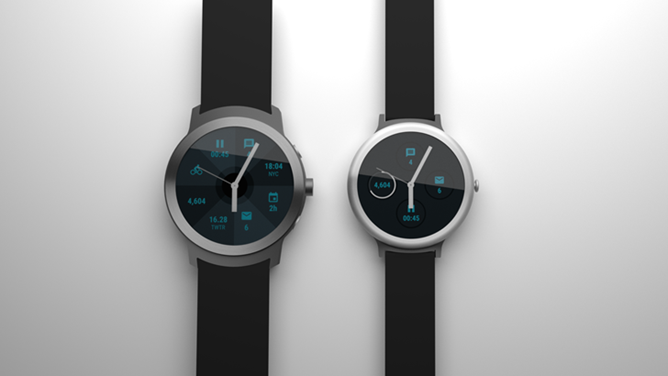 Initially, I strongly suspected we'd see Google's rumored smartwatches unveiled alongside the Pixel phones. We posted two pieces on them - one, a long description, the other, two renders of the alleged watches... that were never announced. Google delayed Android Wear 2.0 into 2017. At this point, I believe Google's smartwatches have been delayed at least until Android Wear 2.0 is ready for primetime. I still very much think that, perhaps all the way until late Spring or early Summer, Google intended to launch its smartwatches along the Pixel phones as part of a unified hardware front. Unknown. We still believe Google is working on the watches, but the jury is out as to the validity of anything we published. It's entirely possible they could be cancelled or reworked, though. It's clear Android Wear is in a state of flux. I suggested that we could see Andromeda teased at Google's 10/4 hardware event on the basis of an admittedly strained reading of a tweet by Hiroshi Lockheimer. We also dropped a lot of information about the Pixel 3 laptop Google intends to run Andromeda. The suggestion that we would see Andromeda on the 4th was obviously inaccurate. Everything else remains a big unknown. And it may remain unknown for a long while yet. We claimed that Google would hold an event on October 4th, announcing the Pixel phones, the 4K Chromecast Ultra (or Plus, we hedged), Daydream View, and Google Home. Accurate, but incomplete. The information we provided was accurate (though the Chromecast Plus name didn't pan out, Ultra did), though at this point we neglected to mention Google Wifi. We were also correct about the name of Google's Daydream View VR headset. We said that Google would announce a product called Google Wifi, a mesh networking router that would cost $129, at its October 4th event. We also said the design could be likened to a white version of Amazon's Echo Dot. Mostly accurate, but incomplete. Mesh network, the Dot-like design, and $129 price point were all confirmed. What we didn't know is that Google planned to sell them in a three-pack for $299. We also didn't know current OnHub devices would be compatible with Google Wifi. On September 23rd, we posted an article declaring price points for Google Home and Chromecast Ultra ($129 and $69, respectively), as well as the fact that Chromecast Ultra was HDR-capable. Accurate. The price points were correct, as was the HDR comment about the CC Ultra. One thing we didn't know? The CC Ultra comes in the box with a power adapter that can be used for ethernet connectivity, previously an optional Chromecast accessory. We reported shortly after this that Google Home would work with SmartThings out of the box, this was also accurate. I think we had a pretty solid track record on not only accuracy, but general completeness this year with our assessment of Google's products prior to their announcements. Some of that information came very late in the lead-up to the launches of these things, as often happens, but key information like the Pixel phones' specifications were out there pretty early and in fair detail. What'd we miss? Well, Google's smartwatches never materialized, and Andromeda and the Pixel 3 remain elusive - for now. I suspect we'll see all of these things some time in 2017 if Google's plans proceed without any unforeseen obstacles, though that's never a given. I also wonder just how late in the game Google decided to brand the Pixel and Pixel XL as Pixel products. We know the Pixel Launcher was called the Nexus Launcher very late in the phones' development, though it's possible it was labeled as such just to keep things on the down-low with the new branding. Google also successfully managed to keep most of the Pixel phones' pricing under wraps until the night before the phones were announced, and we didn't get a really good look at the blue color until that evening, as well. But that's how it goes with coordinated launches like these.